AirMD provides services during the remediation process, including when emergency environmental disasters occur. Over the years, AirMD has seen first-hand many cases and has played an integral part in solving such issues. We are a nationwide environmental consulting company providing a wide range of services, from on-site testing to supplying detailed protocol on how best to correct any issues discovered during assessments. Our dedication to our clients’ well being is demonstrated in this case study exhibiting a 75,000 sq. ft. hospital in central South Carolina. The hospital experienced interior damage due to record rainfall where the roof system failed. AirMD was retained to identify the damage present and to develop a remediation protocol to correct the issues. Concerns for patient care, ICU, and the operating rooms were key factors considered in the project. AirMD produced a report of findings and a remediation protocol to the hospital’s CEO, Board of Directors, and state officials. 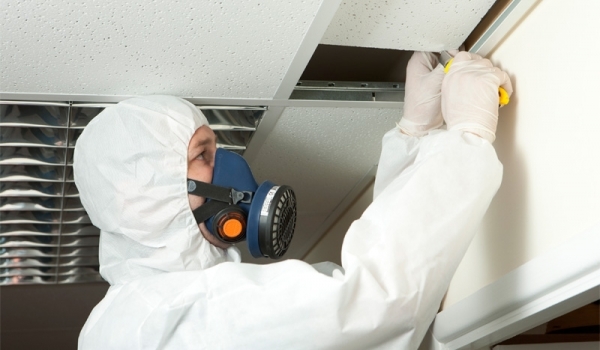 Throughout the United States, a current asbestos survey is required by the EPA prior to the demolition or renovation of any commercial or multi-unit residential property. Before the remediation work commenced at the hospital, AirMD conducted a hazard assessment of the building by doing an asbestos survey of the building materials that would be disturbed during remediation. Asbestos was detected in the building and an abatement protocol to remove the contents from the building was initiated. This specific project is ongoing. Once the remediation work is completed, AirMD will conduct post remediation clearance testing to ensure all issues have been properly resolved. AirMD’s highly-qualified team of microbiologists, industrial hygienists, bacteriologists, mycologists, aerobiologists, environmental scientists and toxicologists have seen it all. No case is too straightforward or complex for our experienced team.